Over the years Weldon Engineering have excelled in a number of areas of specialist engineering as well as general fabrication work. Our service is based on principles of quality workmanship and competitive pricing. This approach has ensured our clients can issue us with designs safe in the knowledge that their project will be completed effectively, on-time and on-budget. With extensive practical knowledge in water treatment plants, bulk storage, silo construction, structural steelwork, stainless steel fabrication and site installation. 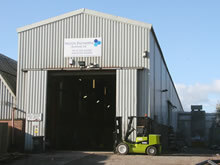 Weldon Engineering have proven themselves more than a match for any and all major engineering tasks depatched to them. 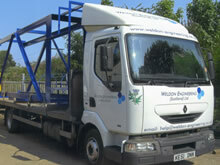 Weldon Engineering offer a broad range of services, please contact us if you would like further information.